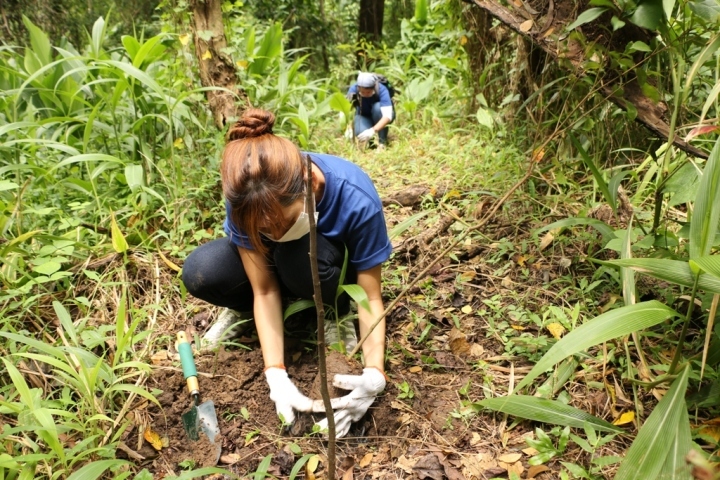 Two employees of JP Morgan Chase & Co., planting trees – a simple thing to do but has a great impact to save the environment. 100 employees of JPMCC recently planted 1,200 trees of three endemic species inside the forest namely Ipil, Narra, and Calumpit. The 2,000 hectares forest of La Mesa Watershed has 102 species of combined endemic and exotic trees. These trees have been planted to help in conserving the 700 hectares of the watershed which is the source of water in Metro Manila. Through different partners, tree planting activities are done just like with the JP Morgan Chase & Co., who has been continuously supporting the environmental initiatives of ABS-CBN Lingkod Kapamilya Foundation, Inc. - Bantay Kalikasan.